Want less trips to the vet? This is usually something both your dog & you can definitely agree on! My Pluto defies convention and loves nothing more than visits to the vet, but that’s another story. A rock solid immune system is a surefire key to maintaining excellent health. Here are 4 tips from canine naturopath Lyndall Pinchen as to how you can keep your dog’s immune system firing on all cylinders. It makes sense that optimal nutrition would lead to a strong immune system. We are what we eat, and this applies to dogs as much as it does to humans. Commercial foods with their high grain content, preservatives and other poor quality ingredients cannot provide optimal health for our dogs and we need only to look to nature to see what are the most appropriate foods for our dogs. Feeding your dog a biologically appropriate diet based around raw foods is one of the best ways you can support a healthy immune system. Raw meaty bones, muscle meats, organ meats, vegetables and fruits form the basis of a healthy diet for your dog, supporting gut immunity which governs the overall immune system and improving general health. Raw meaty bones can have a positive impact on your dog’s immune system by helping to prevent gum disease. Gum disease is often a side effect of unhealthy teeth and causes a low level of inflammation. Less inflammation means less burden on the immune system. This may seem obvious…. but our dogs are exposed to so many chemicals in their environment that can have a negative impact on their immune systems, and many of these can be well hidden! Some of the most problematic toxins come from the use of chemical parasite treatments including spot on treatments and annual heartworm injections. These contain heavy pesticides that act as neurotoxins which can have long term negative effects on your dog’s health and can even in some cases, lead to death in certain dogs. Other toxin exposure can come from poor quality diet, tap water, household and lawn products, car exhaust fumes, medications and vaccinations and cigarette smoke. Remember that your dog’s paw pads act like sponges and their bodies are much lower to the ground than ours, so therefore their exposure to many chemicals will be significantly greater than us. By reducing and avoiding many of these products and chemicals as well as using natural alternatives, your dog’s immune system and overall health will be much improved. Detoxification will also be important as part of this process and you may need to seek out an holistic animal practitioner to assist with this process. Sadly we have ignored Mother Nature in her wisdom when it comes to the treatment of disease. In an attempt to rid our dogs of acute diseases, we have actually created a plague of chronic disease patterns including cancers. Over vaccinating and using medications that act as ‘bandaid treatments’, (without focussing on the cause of the problem) has led to such a pattern. Don’t get me wrong, modern medicine has provided us with wonderful treatments that are life saving for many acute health situations facing our dogs. But there are many times when medications are overused. This approach of treating merely the symptoms of disease goes against the body’s natural healing mechanisms. By suppressing the disease in this way, it actually pushes it deeper into the body and this can create a more serious chronic patterning. As well as treating merely symptoms, we all know that medications can have undesirable side effects. 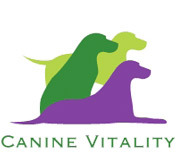 By using a holistic approach to treating any dis-ease, supporting the immune systems natural mechanisms, and by focussing on the dog and treating the CAUSE rather than just the symptoms, a return to true health and vitality is much more likely. Opinions on whether to conventionally vaccinate your dog are becoming increasingly divided as we now know that over vaccinating can lead to a host of immune issues including autoimmune diseases (where the immune system turns on healthy tissues, attacking them), allergies, chronic infections and weakened immune response. While I am not saying do not vaccinate, I believe that it is important that dog owners are aware of the cons as well as the pros for vaccination. When we vaccinate an animal, we target their immune system. If you imagine that this vaccination is delivered directly into the bloodstream, bypassing many of the immune systems natural response mechanisms. This direct targeting into the bloodstream causes the immune system to go into a panic state as has not had time to prepare for this invader. And remember that most dogs will receive multiple vaccines at a time (usually 5). Overtime, this in fact weakens the immune system and leads to the above mentioned health issues. Annual vaccinations in particular are placing undue stress on our dog’s immune system, and many vaccines are shown in dogs to give at least 7 years of immunity. Using titre testing (a blood test that can check immunity for each specific disease) can help dog owners to see whether additional vaccinations are required and many vets today are moving away from annual to 3 yearly vaccinations. Reducing the number of vaccinations given not only assists the immune system but reduces further toxic load generally. Certainly if you have a dog that is experiencing ongoing immune problems, vaccinations are NOT recommended. Homoeopathic nosodes are also a safe alternative for those not wishing to continue with conventional vaccination. Regular exercise – Did you know in the wild that your dog’s canine ancestors spent many hours each day exercising, either by long hunting trips, playing, running etc. While our domestic canine friends no longer need to hunt for hours at a time, they do need regular exercise, including some ‘free play’ or ‘free running’ time where they get an opportunity to extend their limbs to include full range of motion. 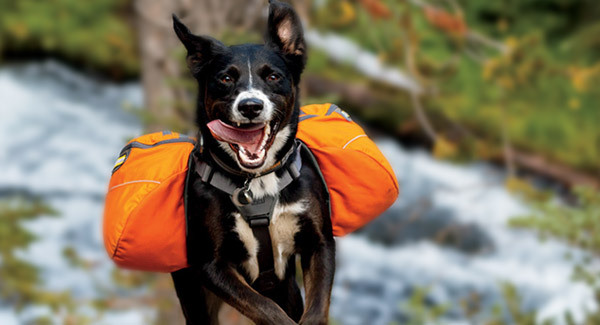 Walking, playing games, swimming, free play….there are lots of way to keep your pooch mobile. Exercise has many health benefits including building a strong immune system. Plenty of fresh air, sunshine, as well as pure drinking water are all important too. Did you know that the fluoride alone found in drinking water contributes to the development of hypothyroidism (low thyroid function) as well as other health issues? Dogs are social creatures and do not generally do well on their own. Stress of any kind places a burden on the immune system and lowers its function. Have you considered a companion for your dog? We all know dogs are pack animals and while an ‘only’ dog will consider his human family as the pack, having another dog (if possible) can alleviate stress in dogs that are left alone for long periods of time without their human members. Dogs are social creatures and do not generally do well on their own. If having multiple dogs is not an option, consider maybe doggie day care or even a dog walker. Stress of any kind places a burden on the immune system and lowers its function. By following these basic principles, you can make a positive impact on your dogs immune system and their overall health and longevity! August 30, 2013 | Filed under Canine Health.